The Flipkart Republic Day Sale is less than a day away, and will see deals on a variety of products, including mobile phones, TVs, laptops, consumer durables, tablets, and accessories. The deals it will be offering ‪between January 21 and January 23.During the sale, Flipkart will also offer 10 percent cashback for Citibank credit and debit card transactions and 15 percent for PhonePe payments (minimum transaction value, maximum cashback not yet revealed), apart from no-cost EMIs, exchange discounts, etc. 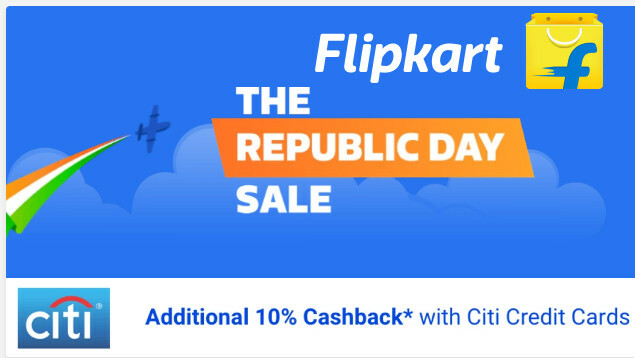 The Flipkart Republic Day Sale will offer Google Pixel 2 XL at Rs. 48,999 (inclusive of Rs. 10,000 off on HDFC Bank credit card transactions), Samsung Galaxy S7 at Rs. 26,990, and Galaxy S7 Edge at Rs. 35,900. Flipkart’s “unbelievable offers” on iPhones are yet to be detailed, but we do know it will be offering extra exchange discount on Oppo F3, Oppo F3 Plus, Infinix Zero5, Vivo V7, and Vivo V5s subject to certain conditions. The Honor 9 Lite will also become available for purchase for the first time in the upcoming sale ‪at 12am on January 21‬ in limited quantities. Those looking for entry-level smartphones will have several offerings to choose from in the Flipkart sale. These include Panasonic P99 at Rs. 5,499 (MRP Rs. 8,990), Xolo Era 1X at Rs. 3,999 (MRP Rs. 5,149), and Micromax Spark 4G at Rs. 3,699 (MRP Rs. 4,499). Similarly, Swipe Elite Star will be available at Rs. 2,999 (MRP Rs. 4,500), Micromax Canvas 1 at Rs. 5,799 (MRP Rs. 8,999), and YU Yunique 2 Plus at Rs. 5,499 (MRP Rs. 5,499). iVoomi i1 and iVoomi i1s will also be available at discounted prices in the sale. Those in the market for a new TV can get the LG 43-inch full-HD smart TV at Rs. 35,999, while the Samsung 32-inch HD TV will be available at less than Rs. 20,000. Likewise, the Vu 39-inch full-HD TV and 43-inch CloudWalker 43-inch full-HD TV will be sold for less than Rs. 20,000. Among the deals on laptops, Acer Predator gaming laptops will be at starting price of Rs. 62,990. The exclusive launches in the Flipkart sale will include Lenovo Tab 4 series tablets at starting price of Rs. 9,999, while the Samsung Gear Fit2 Pro will be up for grabs at Rs. 13,590. There will also be discounts on iPads, best-selling DSLRs, printers, hard disks, fitness trackers, power banks, wireless headphones, and gaming, smartphone and computer accessories. The Xbox One S starting price will drop down to Rs. 24,990 in the Flipkart sale. Be the first to comment on "Flipkart Republic Day Sale 2018 Offers on Mobile Phones, TVs, Laptops, and More"